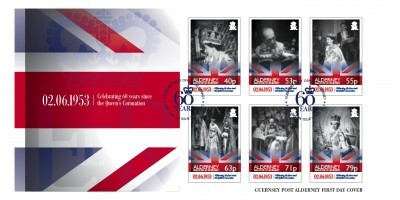 Stamp Descriptions 40p stamp - Her Majesty smiles at the crowds from a Royal carriage following her Coronation ceremony. 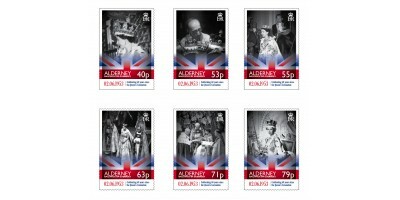 53p stamp - A selection of Coronets and Tiaras in the workshops of The Goldsmi.. The Philatelic Bureau offers a first day cover service in respect of all stamp issues. 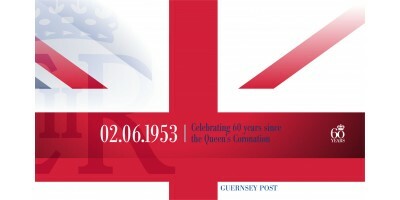 A set of stamps is affixed to an unaddressed, specially designed envelope and it is cancelled with a special p..
A convenient and attractive method of displaying and storing Guernsey Post commemorative and definitive stamp issues is the presentation pack folder. Housed in a proprietary stock card, to which is at..
Our prestige booklet contains four sets of these atmospheric stamps in illustrated panes. 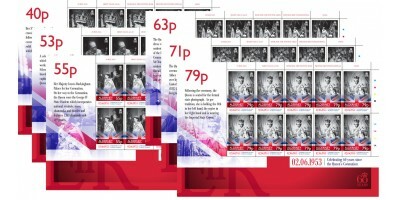 There is a wealth of information throughout the text complimenting the historic photographs on the actual sta.. 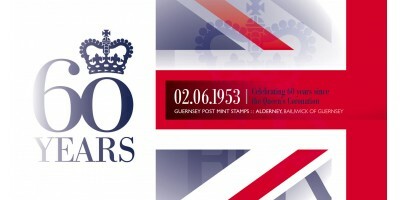 Some of our stamp issues are produced in sheets of ten. This enables collectors to obtain cost-effective sheets of each value with the name of the designer, printer and printer’s information and ‘traf..
For many hundreds of years the crowning of a new sovereign has taken place at Westminster Abbey but, before the Abbey was built, coronations were carried out in other places such as Oxford and Bath. Before the Queen’s Coronation in 1953, Westminster Abbey was closed for five months in order to undergo a transformation for the ceremony. One of the key changes was the addition of the annexe at the west end of Westminster Abbey. This provided the necessary space for the processions to form and disperse unseen by the crowds. Queen Elizabeth II was the 39th Sovereign to be crowned at Westminster Abbey. She is also the sixth Queen to have been crowned at the Abbey in her own right. Responsibility for organising the Coronation is that of The Earl Marshal. Since 1386 the position of Earl Marshal has been undertaken by The Duke of Norfolk; the sixteenth Duke of Norfolk was responsible for The Queen’s Coronation. The Queen’s Coronation dress was made of white satin embroidered with the emblems of the United Kingdom and the Commonwealth. Made by Norman Hartnell, the dress featured short sleeves and a full, flaring skirt, whilst the neckline was cut square over the shoulders, before curving into a heart-shaped centre. The dress’s beautiful embroidery in gold and silver thread and pastel-coloured silks was covered with seed pearls and crystals creating a lattice-work effect. Prince Charles made history when he became the first child to witness his mother’s coronation as Sovereign. He received a hand-painted children’s invitation to the Coronation. 8,251 guests attended the Coronation Ceremony and 129 nations and territories were officially represented at the Coronation service. The Queen’s return to Buckingham Palace was designed so that the procession could be seen by as many people as possible. The 7.2 kilometre route took the 16,000 participants two hours to complete.